Enjoy three of our prestigious sparkling wines: Viñamar Brut, Rosé and Extra Brut and appreciate their differences. The walk begins with a tour of the vineyards, where you will find out why the Casablanca Valley is a unique valley for the production of cool-climate wines and sparkling wines. Then you will visit our underground cellar where we will explain the two methods used to produce our sparkling wines. 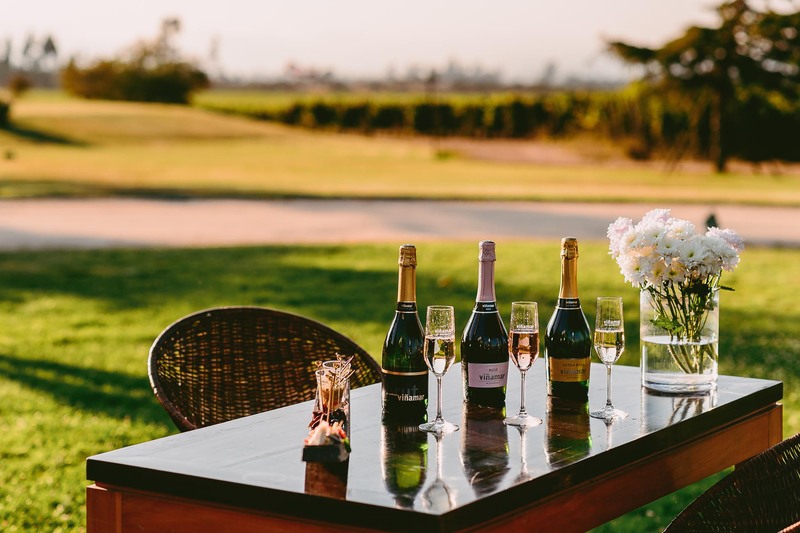 To finish, enjoy three of our prestigious sparkling wines: Viñamar Brut, Rosé and Extra Brut and appreciate their differences.